About three out of every 100 people will have a psychotic episode in their lifetime. And while psychosis is a serious condition that needs prompt treatment, many people recover from a first episode of psychosis and never experience another psychotic episode again. The key, say experts, is prompt and effective treatment that aims to get teens back to their regular lives as quickly as possible. 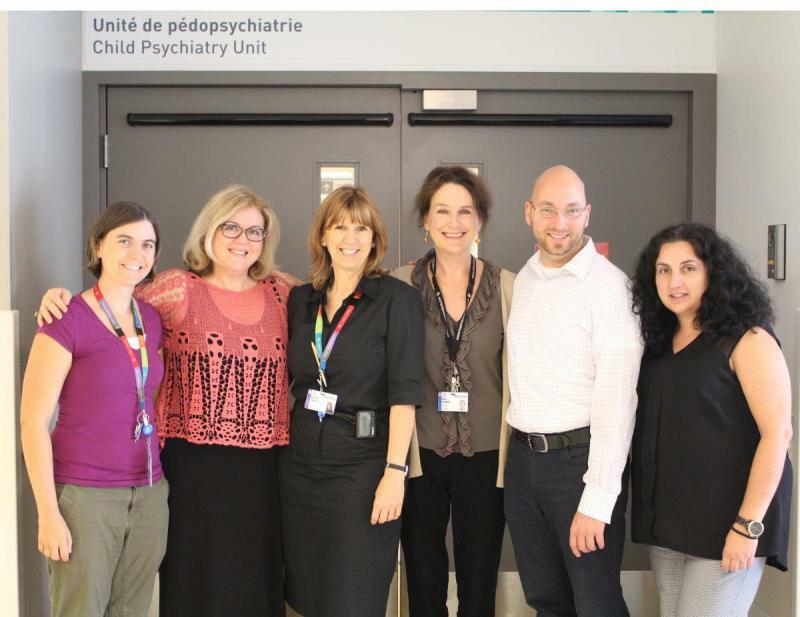 Thanks to an innovative and intensive First Episode Psychosis Clinic at the Montreal Children’s Hospital, vulnerable patients hospitalized for psychosis are doing just that: getting the comprehensive care and support they need as early as possible, leading to many positive outcomes. Based on a clinic model introduced at the Douglas Hospital in 2008, the First Episode Psychosis Clinic has only been in place for roughly four years at the Montreal Children’s Hospital, but is the only clinic of its kind in the province that treats patients under the age of 16. Together, a team made up of a psychiatrist, an occupational therapist, a social worker, a psychologist, a nurse and social counselors intervene to come up with care plan that relies heavily on psychoeducation, and working with families, schools and community resources, so that patients can spend less time in hospital and more time at home, surrounded by a network of support. The benefits of seeking help early and being proactive, says Michèle, is that patients go on to do remarkably well. “Close and intense follow-up when these changes in bahviour first start creates a trusting relationship with healthcare professionals that ensures a better level of compliance to treatment,” she adds. What’s more, it ensures that patients feel equipped to deal with similar triggers when and if they come up in the future, building lifelong coping strategies. On the whole, however, the greatest benefits are seen in terms of how this strategy greatly reduces the risk of suicidality in a particularly vulnerable patient population. “Intervening early and intensively has so many benefits, but most of them are really seen long term. On the whole, patients require less hospitalizations, they experience fewer relapses, and they typically experience less chronic problems later on in life. It’s extremely positive,” says Michèle.